It’s crazy to think Frankie’s has been around for six years now, but here we are! OLD! 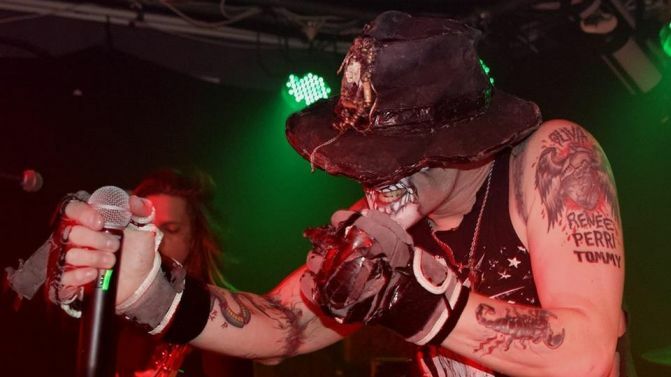 Sydney’s beloved Hunter Street rock n’ roll swillery has just announced plans for its sixth birthday festivities and this year’s blowout will be headlined by noneother than former Misfits frontman Michale Graves (who was responsible for penning a bunch of the punk legends’ seminal tunes over his 15-year tenure). He tops a bill of the venue’s local faves. “Expect a dynamic splay of hip, hard, heavy, loud, proud Rock & Roll acts,” organisers promise, announcing Bare Bones, Bad Pony, Death By Carrot and The Desert Sea to fill out the bday bash’s lineup. It’s set to go down on Sunday, 9th December and, as always, entry is FREE. Catch all the cheesy details below.